Emergency Contact by Mary H.K. Choi- Review Here This was the book I was most excited about buying at the festival before I went. Blue Willow actually made it possible for everyone to get the book a few days early. It is also the first one I reviewed for the series! To Kill a Kingdom by Alexandra Christo- This book was a huge surprise for me! I tend to read exclusively contemporary books, but listening to Christo discuss her book sold me. I'm actually most excited to jump into this Little Mermaid retelling of all my new books! Love Letters of Abelard and Lily by Laura Creedle- I've been excited about this book since I saw the previews for it a while back. Now I own a copy! I'm excited to read more books about ADHD and learning differences because they seem to be skipped over in YA. Also, I loved getting to speak to Creedle. She was so kind and generous with her time during the signing. In Some Other Life by Jessica Brody- I'd put this book on my TBR a while back, so when I heard Brody would be signing at the event, I jumped on the chance to move it up the list. Calling My Name by Liara Tamani- I've been aware of Tamani's book for a while but I've never gotten around to buying it. Since it has received such high praises, I decided to get the book. I'm excited to dive into another coming of age story in vignettes. The Truth About Alice by Jennifer Mathieu- I was excited to see a local author at Book Con! While I got Moxie signed and have it pictured above, I'm going to review The Truth About Alice for my Book Con series. Outside of Book Con, I bought a number of other books over the course of the month that I can't wait to dive into. 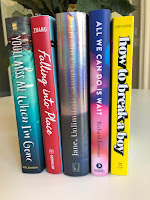 How To Break A Boy by Laurie Devore- I loved her sophomore novel, Winner Take All (Review Here) that I bought her first novel! Jane, Unlimited by Kristin Cashore- Shiny sells... After I saw this cover in the bookstore, I had to pick up this book and add it to my collection. Falling Into Place by Amy Zhang- This book has been on my TBR for a while, so I decided to add it to my shopping cart when I bought Jane, Unlimited. 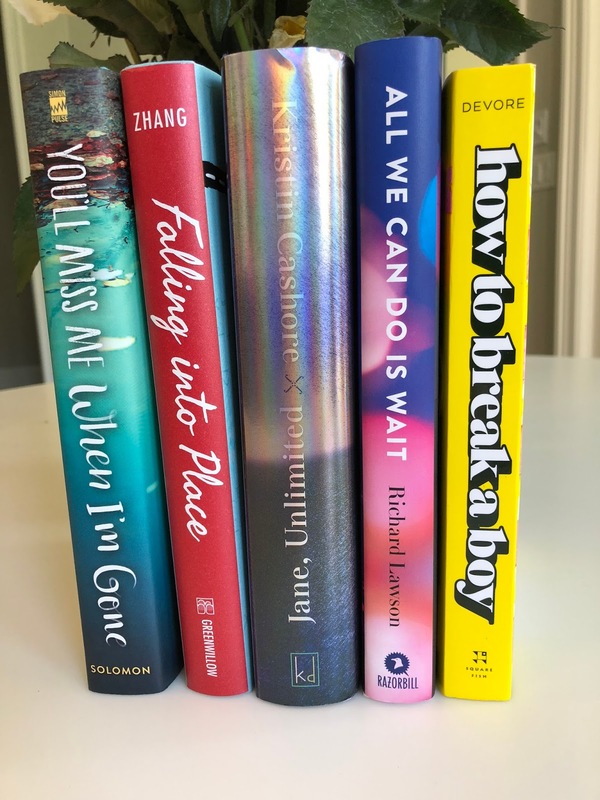 All We Can Do Is Wait by Richard Lawson- I visited my favorite book store ever, Valley Bookstore, over spring break right before I saw Love, Simon (Review Here), so, of course, I couldn't resist buying a book. This one had been on my radar for a while now, and I'm excited to get into it. 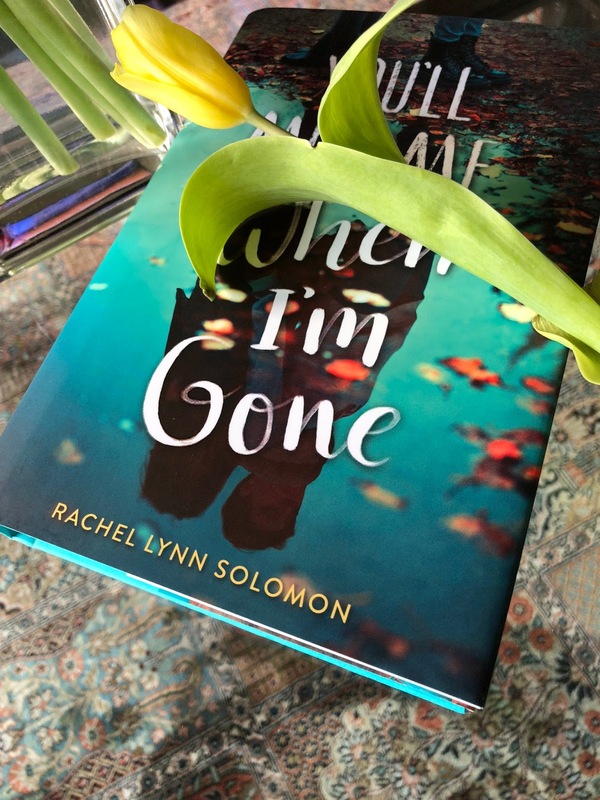 You'll Miss Me When I'm Gone by Rachel Lynn Solomon- I love Rachel's Twitter and have been eyeing her book for a while now, so, in a moment of weekness, I went ahead and ordered it. I'm thinking about imposing an April book buying ban now... At least books never expire. I'm super excited to attack my huge TBR pile. Now the only thing I need is more time! Make sure that you've subscribed from the home page and followed on social media so you don't miss any of the exciting reviews I have planned. What books have you bought? Are there any you can't wait to read? Let me know in the comments below!